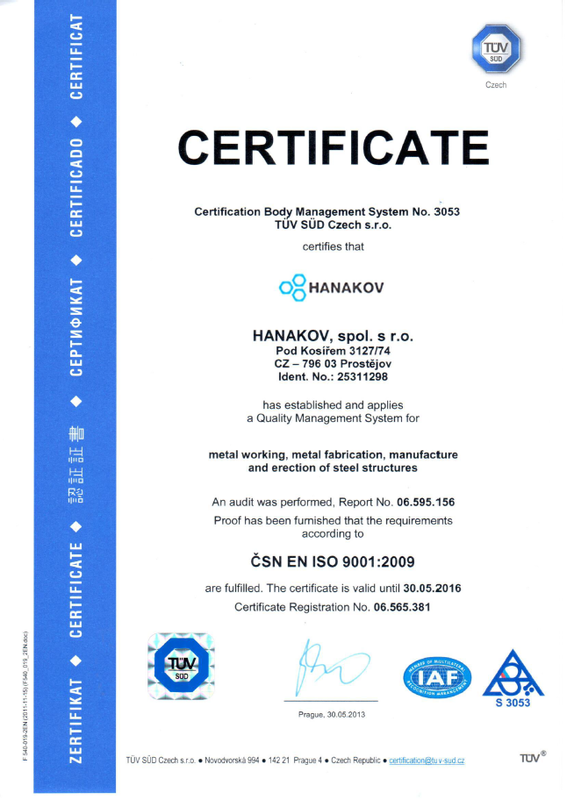 CNC metalworking and welding	HANAKOV, spol. s r.o. – CNC kovoobrábění, svařované konstrukce a povrchové úpravy spolehlivě a kvalitně. to the high demands of our customers. We machine parts up to the length of 1500 mm and diameter of 1500 mm. Air-conditioned measuring centre with two 3D coordinate measuring machines (CMM). Individual approach, flexibility, quality, speed and reliability. Are you looking for a strong and quality supplier for CNC metalworking? Do you need a reliable company to manufacture sophisticated welded structures? The HANAKOV company will help you to fulfil all your individual requirements in the area of metal production, metalworking, manufacture of steel structures and welded parts.